Lush Fab Glam Inspired Lifestyle For The Modern Woman: Magazine Fab: Cover Beauties Miranda Kerr, Katy Perry, Kate Winslet, Frieda Pinto and Kim Kardashian! Magazine Fab: Cover Beauties Miranda Kerr, Katy Perry, Kate Winslet, Frieda Pinto and Kim Kardashian! ﻿Magazine Fab: Cover Beauties Miranda Kerr, Katy Perry, Kate Winslet, Frieda Pinto and Kim Kardashian! Take a look at the Fab magazine covers for the October and November 2011 issues of some our favorite international beauty and fashion magazines featuring Miranda Kerr, Katy Perry, Kate Winslet, Frieda Pinto and Kim Kardashian. Read on to see more photos and let us know your pick for best magazine cover. Model Miranda Kerr graces the cover of Harper's Bazaar Australia November 2011 issue. Singer Katy Perry graces the cover of Vanity Fair Italy October 2011 issue. 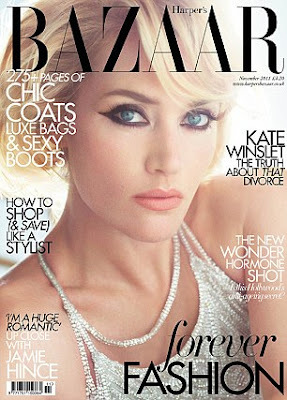 Actress Kate Winslet graces the cover of Harper's Bazaar UK November 2011 issue. 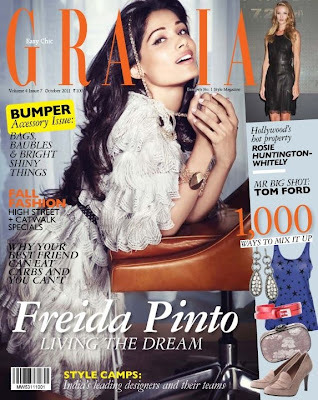 Actress Frieda Pinto best known for her role in 'Slum Dog Millionaire' graces the cover of Grazia India October 2011 issue. Reality TV Star Kim Kardashian graces the cover of InStyle Australia November 2011 issue. Miranda is the best one and then maybe Katy. Kate Winslet is the best she out classes everyone. What is Kim doing on an Australian magazine cover lord help us..
Lmbo @ Nala I like Katy Perry's her photos are more unique and so is what she's wearing. Miranda is the hottest then Katy.